Superstar dedicated student Ali Naqvi Amrohvi studying and new-parenting simultaneously. It’s hard to make time. As dedicated as our members might be to their professional development, as much as they might want to expand their skills and earn the certifications that’ll change their lives, it’s hard to make the time. But sometimes all it takes is a few minutes here, a few minutes there, lunch at your desk watching a short video, or the iPad on the treadmill while you work out in the morning. Wherever you can fit in a few minutes, over time it adds up, and you’ve got new skills, new insights, and new confidence to accelerate your career. Even if you know all this, even though you’re studying on your own at your pace on your time, it helps to know you’re not alone. Some folks create study groups… others do lunch and learns. Still others put reminders in their calendars to keep them on track. That’s why we started #StudyBlitz. STEP ONE: Follow us on Twitter and Facebook. STEP TWO: Watch for the hashtag “#StudyBlitz”. Every now and then, we’ll drop a reminder in your stream and urge you to take a few minutes to learn. STEP THREE: Drop everything and study. Okay, not really; we know it’s not always going to be the best time for you. But if you can, take a few minutes and log in, watch a video, and get your learn on. We truly believe that over time it’ll help you to acknowledge that now and then, a few minutes here and a few minutes there, is all it takes to build momentum. And maybe you’ll meet a few like-minded peers along the way. Earning an OMCP Certification has been the goal for many Market Motive participants and teams. The industry recognized standard lends credibility to agencies, boosts resumes for individuals, and helps pre-vet applicants for hiring managers. Historically, passing any Level 3 Practitioner Course or Level 4 Master Course automatically qualified an individual for OMCP. We’re excited to announce that starting February 28, 2015, the bar is being raised. So why are we so excited? How Often Should You Repeat a Tweet? From the Market Motive Forums: How Often Should I Repeat a Tweet? Tweets are literally here one second and gone the next. As a result, marketers can be tempted to repeat a single message multiple times using scheduling tools. Do you struggle when competing against the big players of your niche? How do new websites bring traffic to their site when the important keywords are dominated by older sites? If you can’t beat them, try again from the flanks! This article will teach you tricks of the trade. While not everyone is a trained Digital Marketing expert, it is important to identify tricks that could help bring a steady stream of traffic your way without having to elbow your way out of the rat race. Learn how to make use of words that are not targeting by the leaders of your niche and develop a following that is more specific and useful to your website’s purpose. In simple terms, low competition keywords are words or phrases that are not sought out by the big players. The number of people who want to rank for this keywords will be lower than the popular words. The competition could be low for multiple reasons. When trying to implement your keyword strategy, you have to make sure you stay away from the low-performance keywords. These keywords can hurt the SEO value of your articles. Learn how to improve your site’s SEO value by enrolling in our Advanced SEO course today! For example, if you sell backpacks for men, keywords that would work well for you are waterproof bags, canvas bags, bags for men and so on. Examples of low competition keywords that you should avoid like the plague in this case are “diy backpacks” or “backpacks for women”. These terms are not related to your audience and are wastes your resources and time. Low search counts in keyword tools are best not ignored. These search counts are by no means accurate. They are based on sampled data or bits of data from multiple sources. Even the Google keyword tool is designed to focus you in on more competitive terms. In a case like this, even a term that only shows 20 searches a month may still create a nice amount of volume. Find a few dozen terms like this, and you create a nice steady stream of long-tail, high-quality visitors. Take the example of backpack in this case – The keyword “red backpacks” may have a search volume of 15 a month. While it would seem counter-intuitive to try and rank for this keyword, this keyword could actually help get the right audience to your site. People who are certain about what they want and who are closer to converting than people who are merely browsing. On the other hand, trying to rank for “cute backpacks” may have a higher search volume, but the ROI on this term may just be quite low. Identifying low-competition keywords is the first step to your keyword strategy. Given that each niche is different, this step is often the hardest. It is important to weed out low competition, low ROI keywords right in the start. Trying to ranking for these words could be dangerous for your website. Let’s follow the same backpack example. If you specialize in trekking or running backpacks, it is dangerous to try and rank for terms like “stylish backpacks” or “backpacks to keep laptops in”. These keywords would bring disinterested people to your site, increase your bounce rate and negatively impact SEO value. What you can do instead is to try and rank for terms like “backpacks you can run with” or “hiking backpacks on sale”. People who use long-tail keywords and their variation have more success in not just bringing in the right people to their site, but also to connecting to their audience. Here are some fundamental rules you could follow to keep you on the right path. Build a general list of keywords that you want your site to rank for – This is easy enough. Just think about your website and your audience, what they want and more importantly, how they speak. For example, if your site is about SEO, then your target keywords would include words like SEO Tips, SEO best practices, Tools for link building so on. This list is a mere starting point for your research. Just grab a pen and paper and fire away words that are at the top of your head. You can gain more insight into keywords that your competition’s ranking for. Tools like Spyfu and SEMRush will help you here. They are a tad more accurate than Google Adwords, which focuses more on the commercial value of a keyword. Spyfu is an SEO tool that lets you spy on your competition. 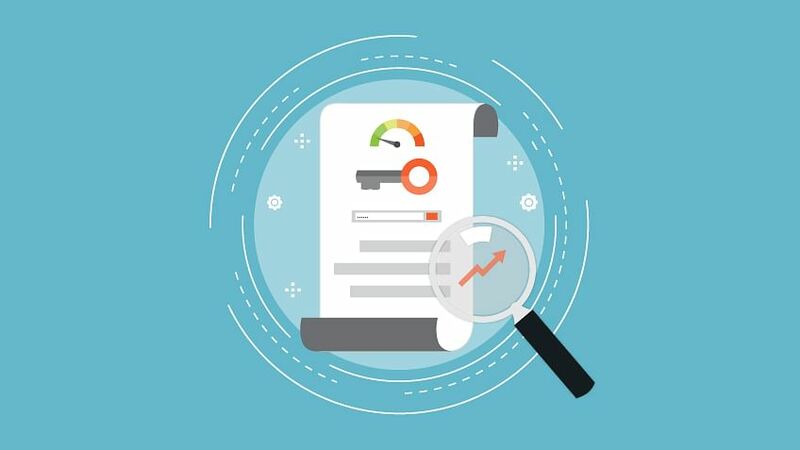 With this tool, you can identify what keywords your competition is ranking for and also get an overview of their PPC campaign. This information is crazy helpful when you are trying to determine your keyword strategy. With Spyfu, you’ll be able to see the entire SEO efforts of your competition. SEMRush is also an SEO tool. This tool lets you do multiple things including backlinks research, competitors analysis and website audits. It’s a handy tool to have when you want to gain insight into your competition’s organic and paid strategy as well as improve your own site’s SEO value. With these tools in your kitty, you can identify keywords your competition rank for in search engine results. Identify relevant keywords from these tools and add them to your list. Now that you have your list on hand, it is time to identify which keywords have less competition and which ones have high competition. A basic search is a good place to start. Run each key word through the search engine. If the keyword has under 80,000 results, then you have a shot at ranking for the keyword. Additionally, you could use an SEO keyword analysis tool to do this. The SEO Quake toolbar is good for this. Just type the keyword into the Google search engine and the keyword difficulty percentage pops right under it. Another SEO tool for this purpose is keyword planner. With Keyword Planner, you can identify what the competition level for each keyword is what the CPC is and how much your competition is willing to pay for a particular keyword. – The rule of thumb to follow is that any keyword that has a keyword difficulty level of below 60% is low competition. – Track these keywords and check if they have a high (read moderate) search volume. – Not all low-competition keywords are useful, some are low-competition keywords simply because they don’t work. – The key to finding the right terms to rank for is to find the keywords that hit the sweet-spot between being low-competition and having a decent search volume (over 1000 searches). How do I implement these Keywords into my Strategy? Now that you have an in-depth analysis of all your keywords, all that is left to do is to implement them. Use these keywords in your content, meta-tags, H1 and URL (if possible). This helps increase your content’s SEO value and helps rank for the keywords you want. Once you’ve got the SEO practices pat down, use your own analytics to measure the success of your campaign. Make sure you use plenty of keywords in your writing. Try and use long-tail variations of your target keywords where possible. Long-tail keywords are 3-4 words that specify exactly what your products or services are about. Long-tail keywords are great for many reasons. They add SEO value to your site and Google and other search engines what your content or website is about. Additionally, they bring the right people to your website. These terms are great low-competition keywords because they have high commercial intent and are specific to your product. For ex. It is easier to try and rank for the long-tail keyword “trekking backpacks with hydrators” than to rank for “sport backpack”. Fewer people sell and rank for specific products as this. Additionally, people who are looking for trekking backpacks with hydrators are going to be led to your site rather than people who are looking for generic backpacks. Work on a few of these long-tail keywords, get a sense of how difficult it would be to increase your rankings for those terms and watch to see the result in your analytics. It is important to strategize your keywords utilization before you start working. A common mistake most content developers make is to write blindly with no regard for keyword volume. Plan ahead and make a systematic pathway to slowly (but steadily) achieve consistent and high rankings for your site. Don’t miss out on this rare public Ask Me Anything from Avinash… bring your burning questions next Thursday, June 26th. You’ve got questions. Avinash has answers. What are the most powerful tools? Favorite reports? Breaking trends? Biggest time wasters? If you’ve got questions about web analytics, now’s your chance to get the answers you crave from Google’s own highly recognized and respected Digital Marketing Evangelist. If you want to learn all the secrets Avinash has to offer, just click on the big orange button below and join us! Get Access to our Web Analytics Course here. As part of the Master Minute Series, Social Media Top Gun Winner & Master Graduate Katie Burnside shared with us how to look like a rockstar at your next marketing meeting. Master Minute: Whose Opinion Are You Optimizing For? As part of the Master Minute Series, PPC Top Gun Winner & Master Graduate Richard Farr shared with us what he called his revelation about quality score. “You hear a lot of Pay Per Click people talking about optimizing your quality score, and really when we’re doing quality score, you’re optimizing for Google’s opinion of you. And you’re optimizing for Google’s revenue. I’ve got some campaigns I’m working on for clients where the quality score is atrocious, but the cost per conversion is phenomenal. And I couldn’t care less about the quality score, because these campaigns are so profitable. So you should look at the right metrics – the ones that make you money, not the ones that make Google money. Learn more about Market Motive’s Pay Per Click Certification Training here! “What would be a good proxy to figure out if you made money – Does it make you money? Are you increasing your average click through rate? Lowering your cost per conversion? Increasing your sales? You’ve got to look at the right things for your business, not just what everyone else says is important. Richard Farr is the CEO at Conversion Max, optimizing for results, not traffic. The Master Minute series is a way for our Top Gun Winners & Graduates to showcase their talent. We ask our grads just one question: “If you had one minute to share a single valuable piece of marketing advice you learned from Market Motive with another marketer, what would you tell them?” The result, a great nugget of wisdom you can read or watch in under a minute. Want a sneak peek at our most newly updated PPC videos? We’ve got you covered. You know we’re constantly updating our videos and courses. This week, we’ve completely updated Brad Geddes’ “Introduction to Keywords” video lesson from the full length PPC course.